Belle Palmer is finally free! Separated from her father on the harrowing escape, Belle is lost and alone until she finds shelter with the Bests, the first free family she's ever known. For the first time in her 16 years, Belle can speak her mind - except for her feelings for a certain dark-eyed young man - The Beau. Educated and handsome, at 18, Daniel Best is engaged to the prettiest girl around. So when the bedraggled girl his parents take under their wing suddenly turns into a vibrant, lovely young woman, his attraction to her is a complete - and complicated - surprise. 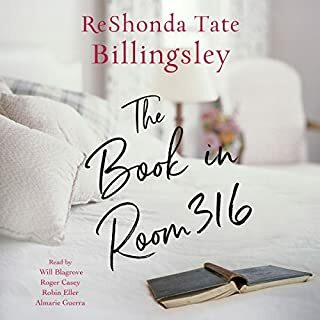 Love wasn’t supposed to be a part of the deal… Even a famed matchmaker like Nolan Madaris’s great-grandmother can’t get it right every time. Nolan, the notorious fun-loving ladies’ man, could never connect with someone as straitlaced as tech whiz Ivy Chapman. Yet the scheme Ivy proposes is tempting - they can pretend to be a couple, just long enough to satisfy their families. But someone forgot to clue in their hearts. What happens, though, when Ivy’s plan to get her relatives off her back has an unexpected side effect: getting her into Nolan’s bed? After divorcing her faithless husband, Bernadine Brown put her newfound millions to good use reviving the small Kansas town of Henry Adams. Now a local diner named the Dog and Cow could use a facelift, but Bernadine has plenty of other distractions to worry about. Chief among these, her former husband has rolled into town looking for a second chance. Curtis Black is no stranger to scandal. Throughout the decades, he has done much in the public eye, both good and evil. But what most people don't realize is that Curtis has been hiding a horrific childhood that has affected him in countless, unspeakable ways. His buried past returns in an unwelcome visit when his estranged sister becomes alarmingly ill and his youngest child, 12-year-old Curtina, becomes the kind of problem daughter that he never imagined she could be. This is only the beginning. Savannah Graham thought she had the perfect marriage...until grief drove her husband into the arms of his best friend’s wife. Now, she believes revenge is the only way her heart can heal from the betrayal. For 52 years, Ollie Moss lived side by side with the love of his life, his wife Elizabeth. But now that she’s gone, so is his desire to live, despite the love from his children, and his beloved grandson Samuel. Can anything save Ollie’s life? Different circumstances lead them and many others to The Markham Hotel, where they hope to find solace, comfort, and answers. 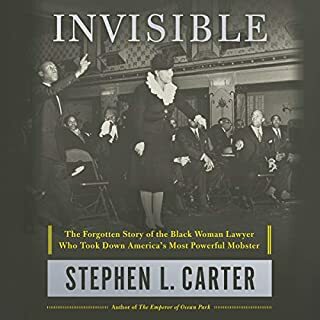 Stephen L. Carter delves into his past and retrieves the inspiring story of his grandmother’s life. 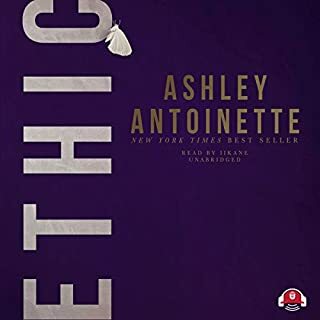 She was black and a woman and a prosecutor, a graduate of Smith College and the granddaughter of slaves, as dazzlingly unlikely a combination as one could imagine in New York of the 1930s - and without the strategy she devised, Lucky Luciano, the most powerful Mafia boss in history, would never have been convicted. When special prosecutor Thomas E. Dewey selected 20 lawyers to help him clean up the city’s underworld, she was the only member of his team who was not a white male. 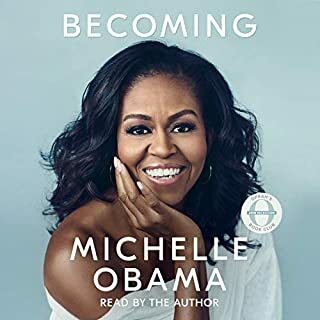 In her memoir, a work of deep reflection and mesmerizing storytelling, Michelle Obama invites listeners into her world, chronicling the experiences that have shaped her - from her childhood on the South Side of Chicago to her years as an executive balancing the demands of motherhood and work to her time spent at the world's most famous address. With unerring honesty and lively wit, she describes her triumphs and her disappointments, both public and private, telling her full story as she has lived it - in her own words and on her own terms. Everything in attorney Skye Barclay's life is fitting smoothly into place until she makes the startling discovery that she was adopted. Not only does she learn that her birth mother has died, but now Skye finds out that she has a biological brother: Vincent. Skye wants to track him down, and her parents support her. But her fiancé, Wayne, refuses to accept her decision...and abruptly ends their engagement. School principal Jonathan Madaris falls hard the moment new teacher Marilyn Bannister walks into his office. The gray-eyed beauty takes his breath away and makes him regret his school's non-fraternization policy. Still, he immediately knows Marilyn is special. And he's not letting anything stop him from getting the woman he wants. After being locked up for a crime he didn't commit, Sheppard Granger is back to take over the reins as CEO of Granger Aeronautics. On top of that, he intends to totally romance his wife, Carson, and make up for the time they couldn't share together. 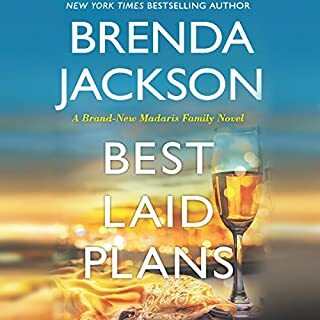 When their idyllic marriage is threatened by someone from Carson's past, the Grangers unite and prove that when it comes to protecting those they love, they are more than prepared to meet trouble head on. This is book 4 in the Granger Series. 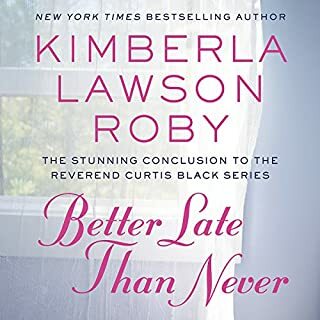 When he graduates with his law degree, handsome and charismatic Langston Hudson is ready to hit the ground running as a lawyer with his family's firm, but a routine traffic stop during a night out with his friends quickly derails his plans and turns his world upside down. Langston and his friends are arrested after officers find half a million dollars' worth of drugs in his car. When Jacqueline Hudson learns of her son's arrest, she immediately begins to build her case. She is one of the top lawyers in the country, with a reputation for being a shark in the courtrooms. Ethic has power, but love has always been evasive. After ordering the hit that mistakenly killed the love of his life, Ethic is haunted with guilt and refuses to love again. Focused on being a better man and keeping his family safe, he is raising three children, one of which is a defiant teenage girl, Morgan. No matter how hard he tries to keep Morgan away from the streets, she is determined to defy him. When Morgan finds herself in a vulnerable position, Ethic is pulled back into the deadly game where he was once king. Josephine "Jojo" Best has it all figured out. Just 17, she's been to college, she has her own hairdressing shop, and nothing will distract her from her goals. That is, until handsome George Brooks begins to pursue her. Then the return of her childhood nemesis complicates her life even further! No girl is immune to Adam Morgan's charm. But when a wound brings him home from the War Between the States, it's a girl he used to call "Pest" who's turning the tables. 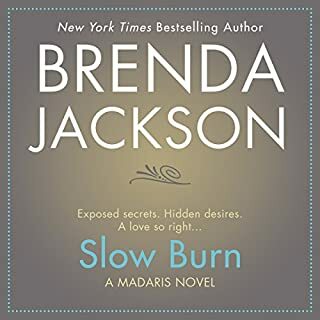 All grown up, Jojo is being courted by another soldier, and Adam knows it would be foolish to play with her heart, but he just can't get the ugly duckling turned swan off his mind. Jojo, too, can't deny her growing feelings for Adam. But he's always been such a flirt - how can she take him seriously? He can't possibly be serious about her. Besides, she has George falling all over himself to please her. As the war rages on, Adam's feelings for Jojo grow stronger, but Jojo's determination to resist him does, too. One thing is clear, though: Jojo is a girl who always gets what she wants, even when she doesn't know what it is! This was the second book I ever read by Beverly Jenkins , and I remember being so sad when I turned the last (yes an actual page). There were no other recommended books by Ms. Beverly besides Belle and I was crestfallen. Both stories we're sweet and fascinating with all the historical gems sprinkled throughout. These were also my first Romance type novels so I was surprised at how much I enjoyed them. 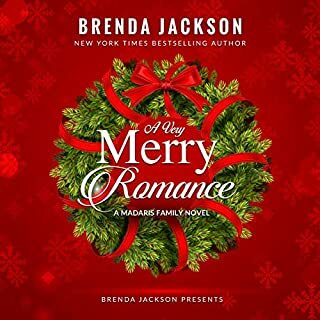 Needless to say I was ecstatic to learn there was a treasure trove of adult historical romance novels by the wonderful Ms. Jenkins, I devoured every one, and soon found that I could begin reliving the magic via audiobooks. Many of the early ones were narrated by talented and skilled narrators that brought each character to life in a unique way. However here lately these narrators for the most recent books recorded are awful drab and in some cases monotone. 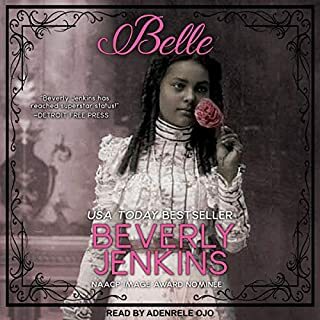 This particular narrator Adenrele Ojo all the male characters sounded the same and very week her voice does not insight the strength and passion that we expect from our leading men in Ms. Jenkins books. PLEASE SOMEONE STOP CASTING WOMEN TO READ, GIVE US BACK THOMAS PENNY!!! 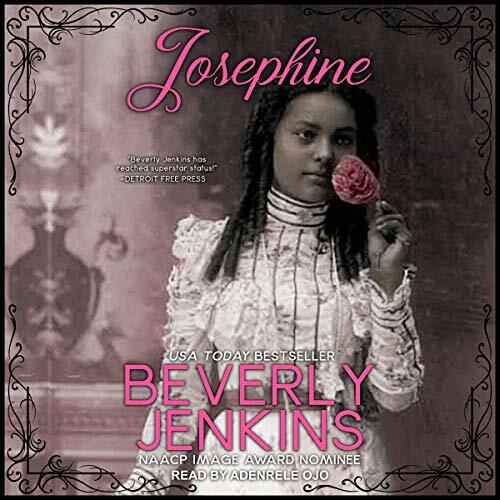 this is my absolute favorite book by Beverly Jenkins and I've read them all. even though it's a teen book, it can appear to be a little steamy. I love love love Adam Morgan. he is manly handsome and super charming. boy is he a flirt. 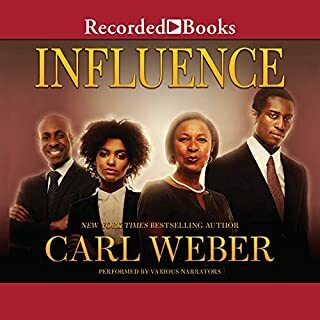 I prefer reading this book rather than listening but the reader does well in this audiobook.